Modern Monetary Theory (MMT) is getting significant media attention these days, after Rep. Alexandria Ocasio-Cortez said in an interviewthat it should “be a larger part of our conversation” when it comes to funding the “Green New Deal.” According to MMT, the government can spend what it needs without worrying about deficits. MMT expert and Bernie Sanders adviser professor Stephanie Kelton says the government actually creates money when it spends. The real limit on spending is not an artificially imposed debt ceiling but a lack of labor and materials to do the work, leading to generalized price inflation. Only when that real ceiling is hit does the money need to be taxed back, but even then it’s not to fund government spending. Instead, it’s needed to shrink the money supply in an economy that has run out of resources to put the extra money to work. Nicolás Maduro was elected president following Chávez’s death in 2013 and vowed to continue the Bolivarian Revolution. 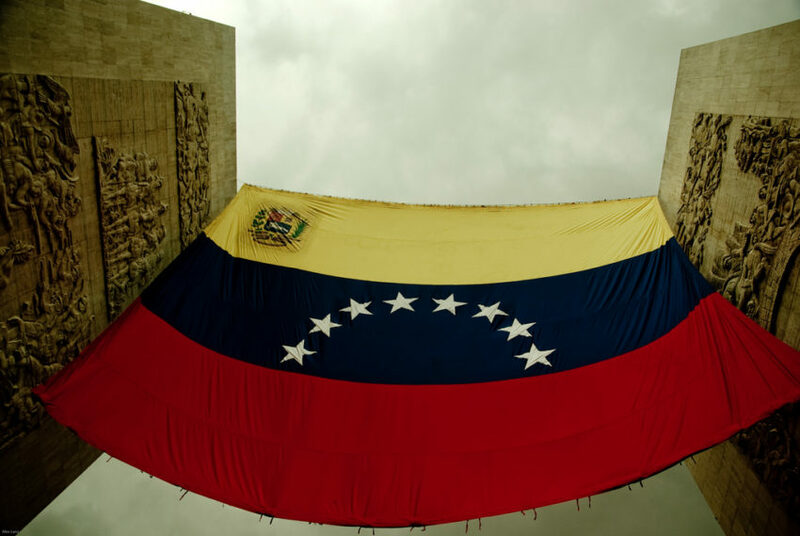 Recently, as Saddam Hussein and Moammar Gadhafi had done before him, he defiantly announced that Venezuela would not be trading oil in U.S.dollars following sanctions imposed by President Trump. The notorious Elliott Abrams has now been appointed as special envoyto Venezuela. Considered a war criminal by many for covering up massacres committed by U.S.-backed death squads in Central America, Abrams was among the prominent neocons closely linked to Bush’s failed Venezuelan coup in 2002. National security adviser John Bolton is another key neocon architect advocating regime change in Venezuela. At press conference on Jan. 28, he held a yellow legal pad prominently displaying the words “5,000 troops to Colombia,” a country that shares a border with Venezuela. Clearly, the neocon contingent feels it has unfinished business there.